Jeremy at the piano played a soft valse from Les Sylphides. Vicky, in a crisp snow-white ballet dress, twirled gracefully on to the stage…. The audience was spellbound. She was some vague wood sprite, here for a moment, gone the next,. The light had on its blue shade, which gave the slim, white-clad figure an appearance of transparency. She finished up with a series of slow fouettees, and sank on to the ground in a billow of tarlatan. The applause was magnificent, and she was called before the curtain time after time. observations: See also earlier entry for more about this classic children's book. The edition of the book I have now has been updated, which seems a shame, and the modernizing is rather random anyway. The book is very 1930s, then suddenly the children are doing GCEs (rather than School Cert) and wearing tights (rather than stockings). At the same time, there is a wonderful scene at the fairground: Nigel, who is 15, wins on the skittles and is offered ‘cigarettes or chocolate’ as his prize. He chooses chocolate, thank goodness. specific olden times) which starred Sarah Greene as Sandra – Greene went on to become a Blue Peter presenter. Another production of it would surely go down well, and what a chance for young actors to play their stage-struck selves. Pamela Brown wrote the book between the ages of 14 and 16, and that fact wouldn’t knock you out with surprise – but it has a kind amateurish enthusiasm which greatly suits the subject matter, and I’m sure still appeals to young readers (who could just imagine themselves as young actors), as it did 30 and 40 and 50 years ago. 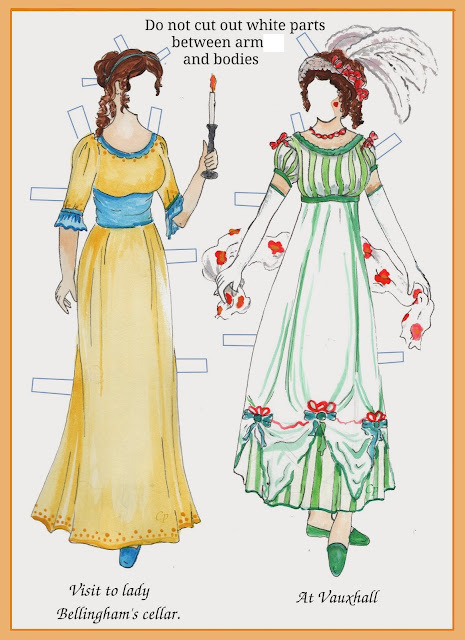 Many of us have been slightly mystified by tarlatan: it is a kind of stiffened muslin, and a great favourite in Little Women and other LM Alcott books, and in Ballet Shoes and in Zelda Fitzgerald’s only novel, Save me the Waltz. It also turns up in Gone with The Wind, but should not be confused with the large Tarleton family, neighbours of the O’Haras. But for some of us, we can never rid ourselves of the idea that it’s connected with tartan in some way, so we visualize it as a stiffened muslin with a criss-cross pattern on it. Pamela Brown continued the story of these young people in Golden Pavements, where they attend drama school. Les Sylphides was the subject of a wonderful poem by Louis MacNiece, giving rise to this blog entry. 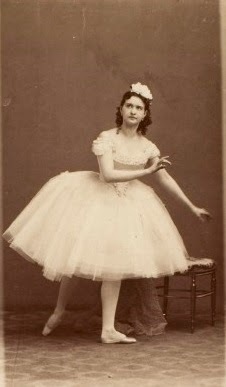 The ballerina picture is from George Eastman House. Moira - I do wonder sometimes why it's thought necessary to 'update' certain stories like that. Not only does it take away from the sense of time and place, but I think it also can take away from real fabric the author is weaving. And yes I chose that metaphor quite deliberately. I also think your mention of Brown's age is really interesting. I've not thought about it carefully before, but my guess is that author's age/generation plays a role in her or his perspective on a story. Hmmm....'food for thought,' so thanks. I'm glad to find you taking a firm line on this Margot, and I think you are absolutely right. Publishers should have more faith in their readers. As a child I loved hearing about the past, and if I had to look up a word, or ask an adult what something meant - well, all to the good. I completely agree. I despise and abominate "updated" books. I can accept it in Enid Blyton with the naughty gollies being changed into naughty monkeys, but that is a very different kind of situation. But this kind of petty updating of some details and not others is just ridiculous. The paperback edition I have - published to tie in with the TV adaptation - was not just updated, it was crudely butchered. Something like a quarter or a third of the original text is missing. The libretto for Spanish Inn is omitted entirely; the nativity play is skated over in half a sentence (making nonsense of later passages featuring Mr Smallgood and Whittlecock); and much else has gone besides. Appalling treatment of a much-loved classic. That's terrible! What IS the point of that... it is insulting to young readers apart from anything else. I hope you might be able to find a proper version. I remember this series, although I must have been quite young, as I loved it until the point they had created some kind of "dummies" - I don't know how else to describe them - as the audience and they utterly terrified me. Think it was one of these Sunday teatime BBC series they did SO well back then; another was called something like The Phoenix and the Carpet, or similar? Perhaps someone remembers it's correct name. Loved these days. I don't remember the dummies, but I do remember lots of teatime serials, and yes I associate them with Sunday early evenings. I was always waiting to see which book they did next, hoping it would be one of my favourites. I remember Ballet Shoes too. That series with the dummies was "The Enchanted Castle" by E. Nesbit (who also wrote the original book The Phoenix and the Carpet). 1978, I think. The dummies were called "Ugli-Wuglies" and I have been DESPERATE to see the series for real ever since I heard about them. One of my ex-boyfriends remembers it from the first time round and says the Ugli-Wuglies were remarkably terrifying. It's one of the BBC dramas I REALLY want to see because I only know it from a couple of pictures from a old paperback cover. I only know this because I've read (and loved) the book - it is one of E Nesbit's less well known books but it's pretty amazing. There's a gorgeous scene in it where the children are asking their French governess for hairpieces to make up the dummies with, and she whips out her hairpins to reveal that all her abundant hair is her own, and then asks if they want her (definitely not false) teeth too. Very funny and very affectionate. That is so intriguing about the dummies, this sounds like an absolute must-see, what a shame it's not available. There was an obscure Nesbit that I read as a child, which I thought might have been this one, but a quick look suggests not. The one I loved involved time travel, and the children took their camera back with them and took photos. I must look this one up, they're probably all available online now....? I'm there, I'll read both. i have now found this series on BBC Online they released it last year. 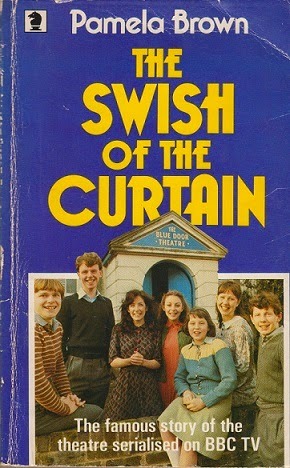 I have all the other books in the stories following on from The Swish of the Curtain and they are fabulous. Thank you, I will go and look this up, would love to see it again. I never knew Sarah Greene had started out as a child actress. I can't say I can recall this one, probably a bit too old myself by the time it aired. I was too old myself, but because it was such a favourite I watched it - very much a girls' book I think when I was growing up, so it's not surprising it passed you by. I do not like it when new editions of books are updated (by other than the author). They did that with reprints of A.C. Baantjer mysteries (the DeKok series) and I have had a hard time reading the copies I have since I found that out. I know, it's beyond my imagination why anyone should think it was a good idea to do that. I don't know the series you menion, I am going to go and look them up now.